On August 1, UTown is bringing fun and fabulous festivities to campus with UBC Pride. The celebration — going on from 4 p.m. until 8 p.m. — will include a public disco, a beer garden, drag and dress-up, a pop-up Queer library, slam poetry, a sparkle station, food trucks and a variety of other activities. UTown is partnering with the Equity and Inclusion Office, the Sexual Violence Prevention and Response Office, the Arts and Culture District, UBC Library, Campus and Community Planning, the Pride Collective, UBC Slam Poetry, UBC Recreation and the AMS to put together this event. 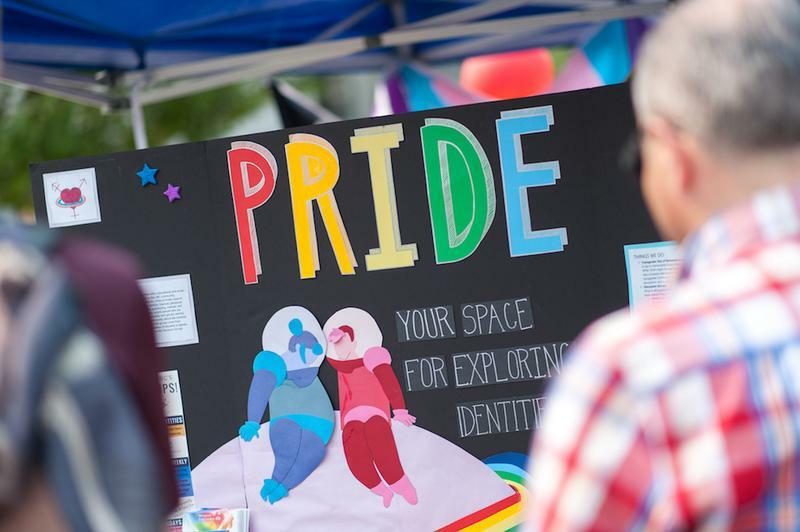 Rachael Sullivan, an equity facilitator at the Equity and Inclusion Office, said that this year’s event will differ from the more subtle Pride Picnic last year. The event, which is taking place during Vancouver’s Pride season, will provide the UBC community with their own personalized celebration of pride. “Given the distance from UBC and Davie Street, where the Pride Parade happens, what I think this does is it helps to really provide an opportunity for the UBC community, within the campus, to come out and celebrate and get festive,” Sullivan explained.